Sibanye’s Froneman joins AngloGold’s Pityana: “Incompetent” Zuma must go. (Bloomberg) — South African President Jacob Zuma “has to go,” with poor governance deterring prospective investors, according to the head of Sibanye Gold Ltd., the biggest producer of South African bullion. 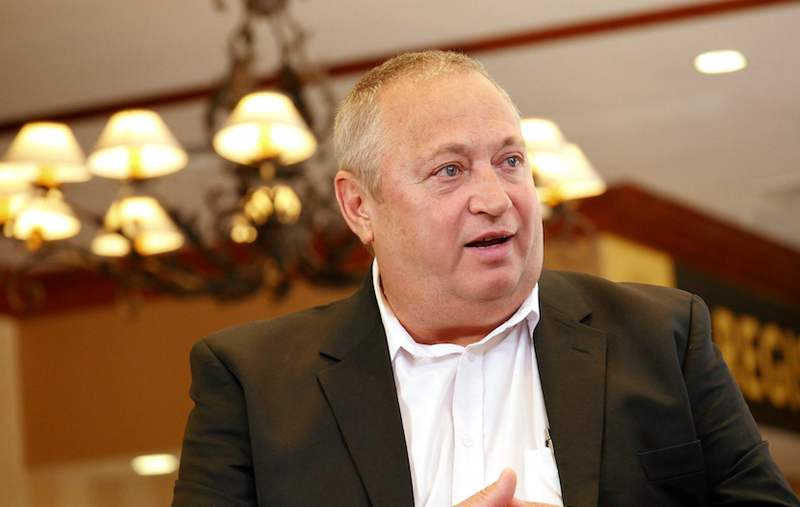 “Any solid investor, any solid company is founded on good governance and what we have in South Africa at the moment is very poor governance, from a government point of view,” Sibanye Chief Executive Officer Neal Froneman said in an interview Monday from the Denver Gold Forum in Colorado Springs. He joins a growing chorus of South African business leaders criticizing the president’s stewardship of the economy. Sipho Pityana, chairman of AngloGold Ashanti Ltd. and a prominent African National Congress member, last week said Zuma had “no integrity” and his actions are putting South Africa at risk of a credit-rating downgrade to junk. Zuma, 74, has spooked investors this year by sparring with Finance Minister Pravin Gordhan for control of the Treasury, tax collection agency and state companies, while in March the nation’s top court said the president violated the constitution for refusing to repay taxpayer money spent on his private home. Gordhan is being investigated for overseeing an allegedly illegal investigative division at the state tax agency almost a decade ago. He says the unit was legal and approved by government. Zuma spokesman Bongani Ngqulunga didn’t immediately return requests for comment. On the positive side, public criticism of the president by mining executives signals their faith in other institutions. And while operating in South Africa is tough, it’s an environment that Sibanye understands. The company is looking at expanding, possibly in the platinum group metals, although Froneman said valuations are still high and the company wouldn’t use equity for deals now. The Bloomberg Intelligence Global Senior Gold Valuation Peers Index surged more than 150 percent this year through early August, before investors began pocketing gains, triggering a 20 percent retreat. Sibanye and fellow South African miner Harmony Gold Mining Co. are the cheapest stocks in the index, trading at 7.2 and 8.2 times estimated earnings, respectively, according to data compiled by Bloomberg. The index trades at an average ratio of 21. South Africa’s business environment helps explain that discount and is one of the reasons why such low valuations aren’t attracting takeover offers. The company is among the least leveraged major gold producers, with a net debt to earnings before items ratio of 0.7, compared with the peer group average of 1.7, according to data compiled by Bloomberg. Sibanye’s current ratio, which measures a company’s ability to pay short-term obligations, is the lowest in the group. Froneman said gold’s recent pullback to about $1,314 an ounce is creating a buying opportunity, with prices set to trade in a range of $1,400 to $1,500. He expects a “double whammy” boost from strong gold prices and a weak rand, which has weakened 4.8 percent against the dollar over the past year.